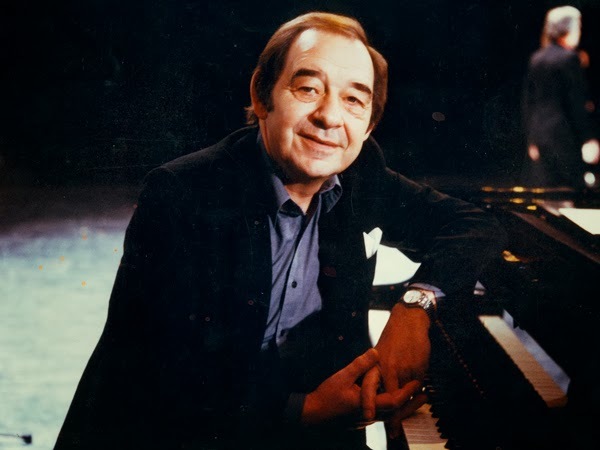 On September 23rd, 2013, German jazz musician and entertainer Paul Kuhn passed away, aged 85. Paul Kuhn studied at the Music Gymnasium in Frankfurt and the Wiesbaden Conservatory. Already during his student days, he worked as a jazz pianist. In the 1950s and early 1960s, he was a very successful vocalist of popular songs such as ‘Der Mann am Klavier’ (1954) and ‘Es gibt kein Bier auf Hawaii’ (1963). Around the same time, he was a regular TV host as well, amongst others of a show named after him, ‘Hallo Paulchen’. Between 1968 and 1980, he was the conductor of the SFB Big Band, the orchestra of the West Berlin broadcaster. In 1981, he founded a new variety orchestra in Cologne, which toured with Peter Alexander. From the 1990s onwards, Kuhn again focused on his roots as a jazz musician, founding a Paul Kuhn Trio and (from 2000 onwards) touring with fellow band leaders Max Greger and Hugo Strasser along with the SWR Big Band. In 2010, he was awarded with the ECHO Jazz Prize for lifetime achievement. In 1957, Paul Kuhn was one of the candidates to be the West German representative in the Eurovision Song Contest, but he came third in a preselection won by Margot Hielscher. In 1972, the West German Eurovision heats were held in West Berlin and Paul Kuhn and his SFB Big Band accompanied all contestants. The Vorentscheid was won by Mary Roos and her powerful effort ‘Nur die Liebe lässt uns leben’, which had been arranged flamboyantly by Jo Plée. Paul Kuhn also conducted the orchestra in the Eurovision finals in Edinburgh for Mary Roos, where she came third among eighteen contestants. More info about all Conductors of Eurovision: www.andtheconductoris.eu.